According to Huawei's official website, the Huawei 5G Cloud VR Service Press Conference is held on January 25, 2019. Also, the events provided a salon for the developers of 5G Cloud VR. 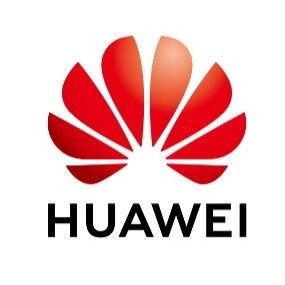 Jan 29, 2019 /EqualOcean/ - According to Huawei's official website, the Huawei 5G Cloud VR Service Press Conference was held on January 25, 2019. Also, the event provided a salon for the developers of 5G Cloud VR. This leading technology company discloses that its 5G Cloud VR service is divided into three parts: the development kits for Cloud VR, the connecting service for Huawei Cloud VR, and the community of Cloud VR developers. This series of service is the way Huawei could help solve the infrastructure of Cloud VR and the adaption of Wide Area Network (WAN). 5G Cloud VR Service may be a new word for many readers. It is the combination of the three leading technologies: 5G, cloud, and virtual reality. China is now making great efforts to develop the 5G technology and setting up the 5G standards. You may see may posters in China broadcasting the coming of 5G. What is 5G then? 5G stands for the 5th Generation Network, it does not simply increase the downloading speed of 4G Network. 5G aims to interconnect everything, and it is the basis of the upcoming digital age. There is a complete technology upgrade for 5G Network, even though the core technology is confidential, the technology upgrade can be measured with three basic aspects: eMBB, URLLC, mMTC. The Enhanced Mobile Broadband (eMBB) which refers to the coding method used to enhance the performance of the users' experience on current mobile broadcast service. The better eMBB that provided by 5G can bring the downloading speed of 10GB per second theoretically, which is ten times the downloading speed of 4G. Based on the digital economy, 5G systems have been designed to address a various use of different use cases. The Ultra Reliable Low Latency Communication (URLLC) is the most challenging case. The latency of 5G is 1ms theoretically, whilst 4G maintains 50ms latency on the users’ level. The latency of 5G is one-fiftieth of 4G, which could provide almost real-time interacting experience. The massive Machine Type of Communication (mMTC) is the typical application of the 5G network. With the frequency range lower than 6GHz, mMTC can be applied in a large scale of IoT (Internet of Things). With higher downloading speed, low latency communication skill and massive Machine Type of Communication, 5G is the technological base of IoT. Cloud provides data storage and interactions. Virtual Reality (VR) is to create a simulated system that can bring the reality without to the world by breaking the limit of distance. Combining the base technologic of 5G, cloud and VR, Huawei 5G Cloud VR service provides the development kits for Cloud VR, the connecting service for Huawei Cloud VR, and the community of Cloud VR developers. This is the set of solutions provided by Huawei. The first part is the development kits for Cloud VR, these kits can provide to the developers for offline development and the developers can first develop their VR content based on the local area network (LAN). The second part is the connecting service for Huawei Cloud VR, this is the commercializing and application part. Huawei can provide the cloud adaption to the service provider network, and connect the VR content to the cloud and commercialize through the service provider. This connecting service can be used for commercialization or providing second development to the developers. The third part is the community of Cloud VR developers, which is used for the communications of the use and experience of Huawei Cloud VR for the developers. With the development kits and connecting service, Huawei Cloud VR can provide the one package service to the developers, and the community of Cloud VR developers can provide support and suggestion for the technology upgrade. It is obvious that Huawei Cloud VR provides great convenience for the VR developers. Currently, China and the United States are preparing for the rapid development and application of 5G. The technical industry is also preparing to catch the new opportunity of 5G. Previously, virtual reality has caught people's eye. However, with its heavy equipment and latency of the network, virtual reality still needs to be improved. 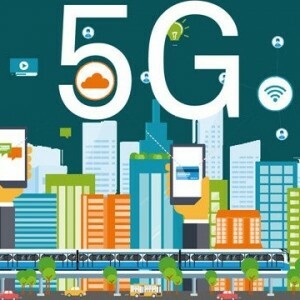 5G technology can improve the user experience of virtual reality's users by providing low latency communication, enhanced mobile broadband and large scale of connection of IoT. This time, Huawei's action on 5G Cloud VR could bring new opportunities for the virtual reality industry.